A new program aimed at reducing public stigma associated with dementia is being developed by ANU researcher and recipient of the 2016 Alzheimer’s Australia Hazel Hawke Research Grant in Dementia Care, Dr Sarang Kim. Social stigma has a devastating impact on the lives of people with dementia and can often lead to social exclusion, discrimination, disempowerment and is even suggested to affect a person’s tendency to seek help or a diagnosis. Results from a national survey conducted by Dr Kim and her research team show that the general public hold negative views and express a desire for social avoidance of people living with dementia. It is hoped the Dementia Stigma Reduction Program (DESeRvE) led by Dr Kim will enhance the general public’s understanding and awareness of dementia and discover effective ways of reducing dementia-related stigma. 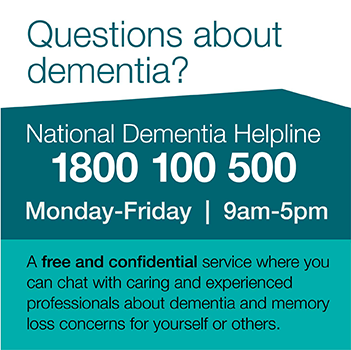 The program will use focus groups to gather information about what the general public would like to learn from people with dementia and what people with dementia and their carers would like the general public to know about them living with dementia. “Education and having contact with people living with the condition are believed to be most effective ways to reduce stigma and this is what I am going to use in my intervention program,” Dr Kim said. Dr Kim said she hopes her study sparks an interest in further studies in the area of dementia-related stigma. “Despite stigma being identified as the number one concern for people living with dementia and their carers, research investigating dementia-related stigma is still lacking. “Dementia is a neurodegenerative disease, however, due to its effects on memory, judgement and behaviour, it is perceived as a mental illness and is associated with the fear and misunderstanding commonly linked to other mental illnesses. Furthermore, dementia is often mistakenly assumed to be a natural part of ageing that only affects older adults. “By increasing the public’s understanding and awareness of dementia and subsequently reducing stigma, it is envisaged that people will be more likely to visit GPs or other health professionals as soon as early symptoms of dementia are noticed,” she said. If you are a person living with dementia or a carer of someone living with dementia, and would like to be involved in this study contact Dr Sarang Kim and her research team on (02) 6125 5621 or email deserve@anu.edu.au. For more information on grants or to apply click here. To support researchers such as Sarang, please click here.